Imagine waking up on Sunday morning and you’re Liam Cooper. You went to bed early but you hardly slept and now you can hear breakfast being prepared downstairs. You didn’t touch a drop but your head is pounding and your ears are thrumming with the sound of the gasps you heard from the crowds when the ball went under your foot. Your phone is pinging; recriminations in the team WhatsApp, but don’t forget, Billy Sharp has your number too. There are two weeks until the next game, and because you’re not in the Scotland squad, you’ve nothing to distract you, no luggage to pack or travel arrangements to make. WhatsApp pings again; it’s one of Marcelo’s analysts, sending video clips from yesterday’s game reminding you why you’re not in the Scotland squad. In an interview in midweek in The Telegraph, Cooper said, “This game against Sheffield United, I cannot wait. These are the games you want to be involved in, a Yorkshire derby, a top of the table clash, it does not get any better than that.” And the morning after? It doesn’t get any worse. “I think that is what I bring to the dressing room,” Cooper said in the same interview. “I hope I show them what it means to play for Leeds, to be a Yorkshireman. Even in training, I play to the best of my ability every day, just to try and set an example. Imagine never wanting to be that guy again, and waking up on Sunday morning, and you’re Liam Cooper. You remember missing the ball and Billy Sharp getting it. You remember twisting and turning trying to catch him, remember hoping that Barry Douglas was tracking the runner from midfield. He wasn’t. You remember you couldn’t stop Sharp from squaring to Chris Basham; you remember all the air rushing out of Elland Road like from a depressurising aircraft. Remember it? You can’t forget it. It’s Sunday morning, and that’s all you’ve thought about all night. Perhaps that’s why we can sympathise with Cooper, instead of criticising him; we know how he feels, because we know he feels how we feel, and we wouldn’t wish that on anyone. Liam Cooper has made worse mistakes than the one leading to Basham’s goal and Leeds United’s defeat in the eagerly anticipated sold-out derby that everyone in West Yorkshire now wishes never happened. And his slip on the ball in this game, in lashing rain on a sodden pitch, was explicable. It was a mistake by Cooper but it was earned by Sharp, who was on the heels of Cooper and Pontus Jansson all game, poking and pushing and, in one case, cracking Jansson’s face with the side of his arm, when he was lucky only to get booked. Harassing Cooper yet again, he finally got his reward, and didn’t waste it. Basham finished, but that goal was Sharp 1, Cooper 0. The guy’s scored more than 200 goals; Billy Sharp knows what he’s doing. If Leeds United were as clinical as Sharp they would have won this game by an easy margin. The first half belonged to Leeds, and most of it to Pablo Hernandez, standing on the right wing with the ball, taking his time over deciding how to slice Sheffield United. It’s not an easy problem; Sheffield hadn’t conceded a goal in six games, and their 3-5-2 into 5-3-2 formation defended with a line of eight. That was fine for Hernandez. As Mateusz Klich, Tyler Roberts and Pat Bamford dropped and span they drew the line out of shape, and Pablo found the gaps. After disappearing behind Enda Stevens, Hernandez reappeared to reach Luke Ayling’s through ball, taking it to the byline and pulling back for Bamford, whose finish was too gentlemanly to trouble the uncouth youth in Sheffield United’s goal. 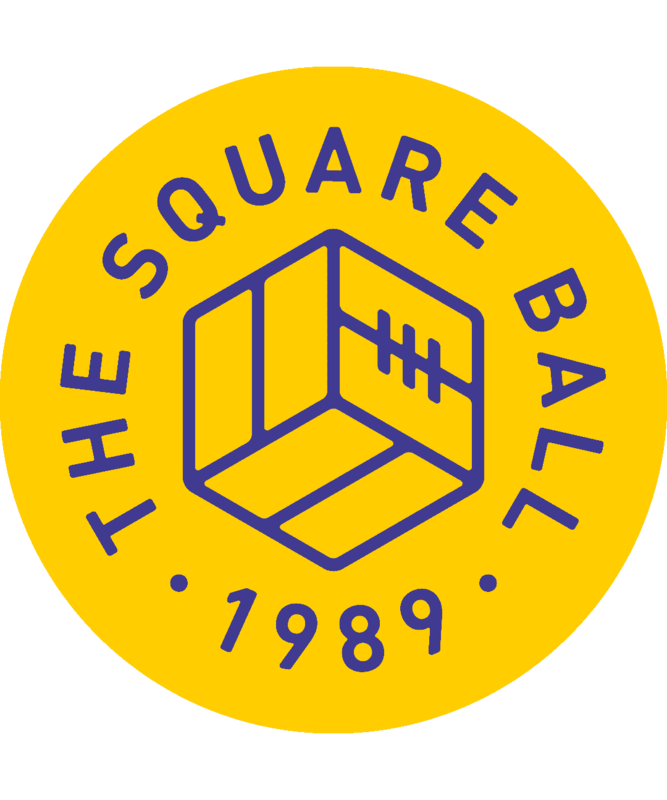 A gentle flick over Stevens and Jack O’Connell reached Klich, who chested the ball down, paused, and lobbed it onto Jack Harrison’s right foot; it was the chance of the day, but Harrison placed it over the bar instead of hammering the ball into the net. A quarterback pass from Hernandez was van Bamforded over on the half-volley. 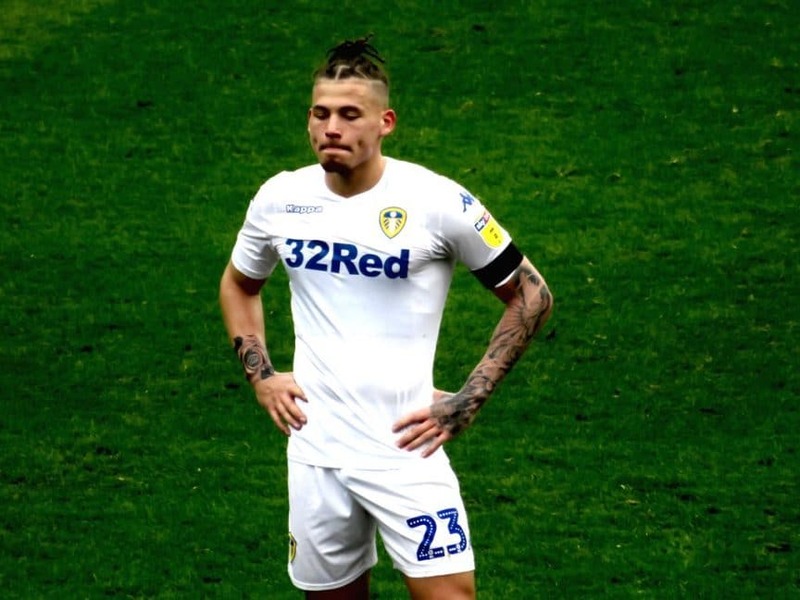 Ayling, giving and going with Hernandez, pulled the ball back but it was taken off Klich’s toe and taken to the back of the South Stand by Ezgjan Alioski’s shot. Leeds were playing some of their sublime best, never better than when Hernandez passed the width of the pitch to Alioski, who didn’t have to control the ball before crossing first time; Roberts headed over at the back post. It was the ideal way to play on the damp, bounce-killing pitch, but that wasn’t bothering Hernandez anyway; while the others were splish-sploshing around him, he was gliding across the wet surface like Eddie Gray on snow. Early in the second half he passed through three defenders to Klich on the byline; his pull-back was hit first time by Roberts but the shot slapped flat against the post. It’s well known now that if Leeds score first they win, and finishing any of those chances would have put them well on the way. But every miss took Leeds closer to risk, and defeat crept upon them like a shadow. George Baldock, who had already hacked down Bamford in the opening minutes, went over the top in a tackle on Jansson but was only booked. Sharp was let off for bashing Jansson’s face. Leeds were let off when their passing in defence betrayed nerves, letting Stevens in down the left, Sharp with a shot through the middle, and Basham around Kiko Casilla down the right. A couple of corners brought a goalmouth scramble and a clear header wide. The longer Leeds didn’t score, the more it felt like Sheffield United would. They didn’t have to come into the game more than they had; Cooper didn’t deal with a flick on, and Sharp gave Basham the chance. As Leeds showed at West Bromwich Albion earlier in the season, they still have the capacity to make defeat spectacular, and while this implosion wasn’t quite as complete as against Millwall or Cardiff City last season, Leeds still ended with Pontus Jansson, hobbling, playing in goal and going up front to attack a corner, all at once. United’s fluidity flowed away as they chased an equaliser, the smooth incisions of the first half replaced by hectic scurrying around Sheffield United’s penalty area and one absurd passage of play when four players combined, tried and ultimately failed to get the ball on to Barry Douglas’ left foot for him to cross. Jack Clarke was brought on to bedazzle the players Hernandez was bewildering, but his low cross was jabbed wide by Jansson, playing as a striker to conserve his injured knee. While the forwards tried to create the perfect chance at one end, Cooper and Kalvin Phillips created the perfect storm at the other; Cooper by hoofing a clearance backwards over his own head, Phillips by falling under Sharp’s spell and letting him have the ball to run at Casilla. Casilla ran at him, too, and after knocking the ball past the keeper Sharp didn’t seem to believe he would reach it before Phillips, so made sure he collided with Casilla instead. A red card and Pontus Jansson with gloves on; as I said, Billy Sharp knows what he’s doing. Leeds know what they’re doing, too, and hopefully it’s not anything like this again. While it will have been horrible to wake up on Sunday if you’re Liam Cooper, and horrible if you’re any Leeds fan, that was a symptom of the huge build up given to this game and the historical omens of the 4-0 win at Easter in 1990, of Gary Speed going on and getting one himself, son. Defeat tore up that comparison meaning 2018/19, from now on, is itself, and not a rerun of 1989/90. There are big games ahead for Leeds but only Sheffield Wednesday at home is a derby; Birmingham City, Preston, Wigan, Brentford and the rest are teams to be beaten, not rivals laden with history. Millwall are next, and we shouldn’t care; for all the noise, we’ve only played them 37 times since 1919. We’ve played Sheffield United 82 times. And we’ve still won more than we’ve lost.